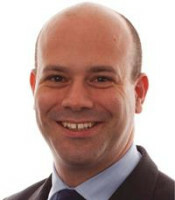 James Fish was called to the Bar of England and Wales in 1996 (Inner Temple) and was admitted as a solicitor in 2000. He is a qualified UK chartered trademark attorney, a member of the Chartered Institute of Trademark Attorneys and a European trademark representative, and holds the trademark and design litigator certificate. Mr Fish joined J A Kemp in 2002 after training and working at Clifford Chance. He became a partner in 2004 and is head of J A Kemp’s trademarks and designs group. Mr Fish’s experience since 1996 has included extensive handling of multi-jurisdictional clearance searches, advising on filing strategy, trademark prosecution of unusual marks, conducting trademark-related litigation and handling anti-dilution campaigns. Clients appreciate his pragmatic and cost-conscious approach. Mr Fish’s clients include adidas, Brother, Denso, Makita, Mercer Inc, Reebok Company Ltd, Regeneron Pharmaceuticals Inc, Ricoh, Seiko, Taylor Made Golf, Toyota Motor Corporation, WR Grace & Co and Yeo Valley Organic. Mr Fish is a UK council member of the International Federation of Intellectual Property Attorneys (FICPI-UK) and is chair to CET Group 1 (EU trademark matters) of FICPI International. Mr Fish is co-editor of The Trademark Handbook (Thomson Reuters) and author of Trademarks 2018 – UK (Global Practice Guides, Chambers and Partners) and Pharmaceutical Trademarks (Practical Law, Lexis Nexis).